Sakyong Mipham Rinpoche, the eldest son of Chögyam Trungpa Rinpoche, is the Dharma heir and present lineage holder of Shambhala Buddhism. Shambhala Kado was officially recognized and confirmed by the Sakyong in August 2003. In 2012, the Sakyong bestowed upon Ms. Shibata the title of Master Shambhala Kado Instructor. The Kado Rigden School of Ikebana is based on the teachings of Shambhala Buddhism. The school was inspired by Chögyam Trungpa’s understanding that the innate wisdom in human beings can be recognized and cultivated through properly understood flower practice. Chögyam Trungpa often made flower arrangements to illustrate natural wisdom; a way to show students the truth of the Buddhist Shambhala teachings. Both the Buddhist and Shambhala traditions teach enlightened warriorship and natural wisdom born from basic goodness. 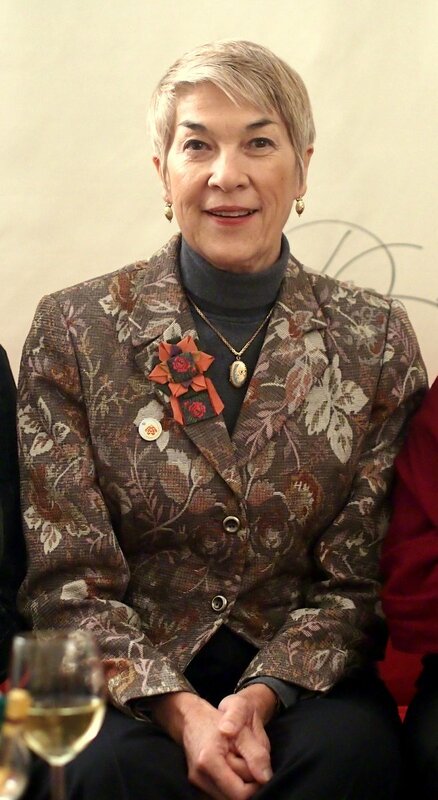 Marcia Wang Shibata is a Master Shambhala Kado Instructor within the Shambhala Buddhist community and co-founder the Kado Rigden School of Ikebana. She is a student of Chögyam Trungpa Rinpoche and Sakyong Mipham Rinpoche. Having studied, and continues to study and practice in the major schools of Ikebana, both classical and modern, she teaches from the view of nature’s innate wisdom and Buddhist/Shambhalian compassionate warriorship.